190410 A lot of cool stuff coming up! I´ll be doing two clinics during the Scandinavian Guitar show Fuzz and also a PHG release gig with our new record at Fuzz. Check out the PHG page for more info. Also in May I will go on the road with a Ray Charles Tribute including a lot of great Swedish artists, more info to come. 190109 PHG will play one saturday each month at Resturant Viva in Lund. Check the PHG page for dates! 181213 PHG will do a live show at the Larvik Guitar Festival Norway in March! 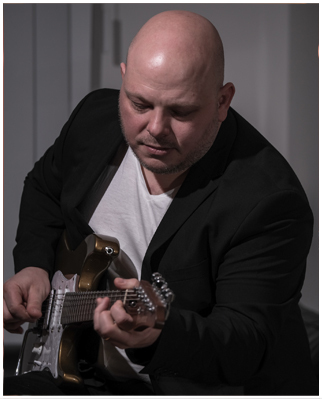 Leader of the instrumental fusion band PHG and a well known freelance guitar player in Sweden.